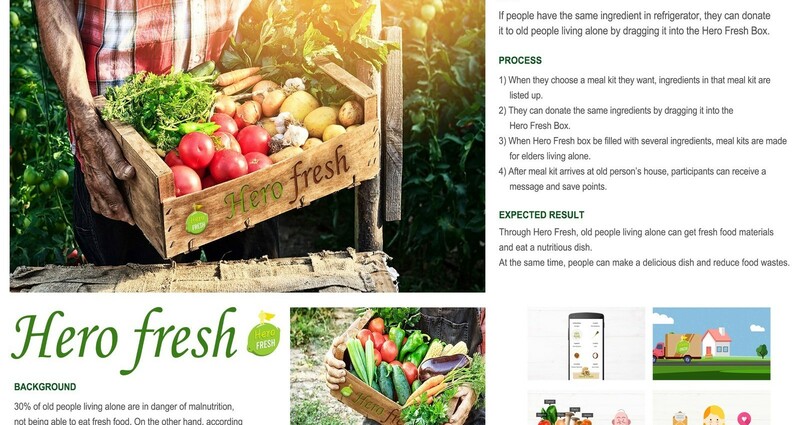 Hero Fresh is a food-sharing system that share fruit and vegetables to elderly people who are malnourished. 30% of old people living alone are in danger of malnutrition, not being able to eat fresh food. On the other hand, according to the FAO, UK households throw away 7 million tons of food a year. Fruits and vegetables have a majority of them, not being used perfectly. On this problem, we propose an idea ‘Hero Fresh’. By Hero Fresh, old people living alone can get fresh food materials and eat a nutritious dish. At the same time, people can make a delicious dish and reduce food wastes. When people choose a meal kit they want, ingredients in that meal kit are listed up. They can donate the same ingredients by dragging it into the Hero Fresh Box. When Hero Fresh box be filled with several ingredients, meal kits are made for elders living alone. 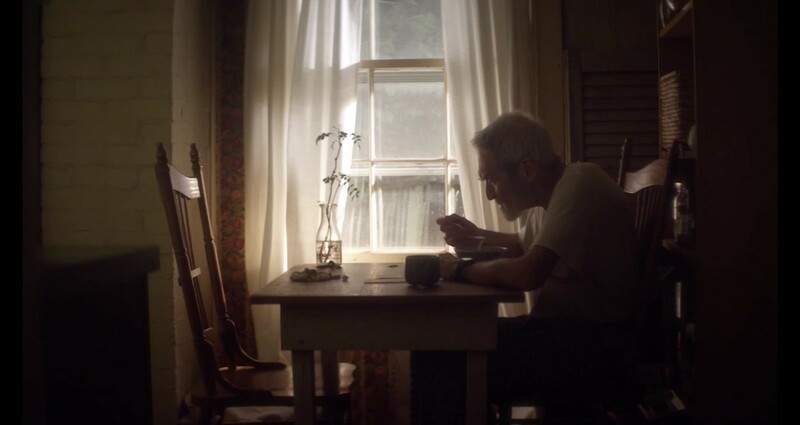 After meal kit arrives at old person’s house, participants can receive a message and save points.